We're happy to customize our tours to meet your individual or group riding aspirations. From short tours to multi-day excursions, we provide full logistical support along with all bike equipment. 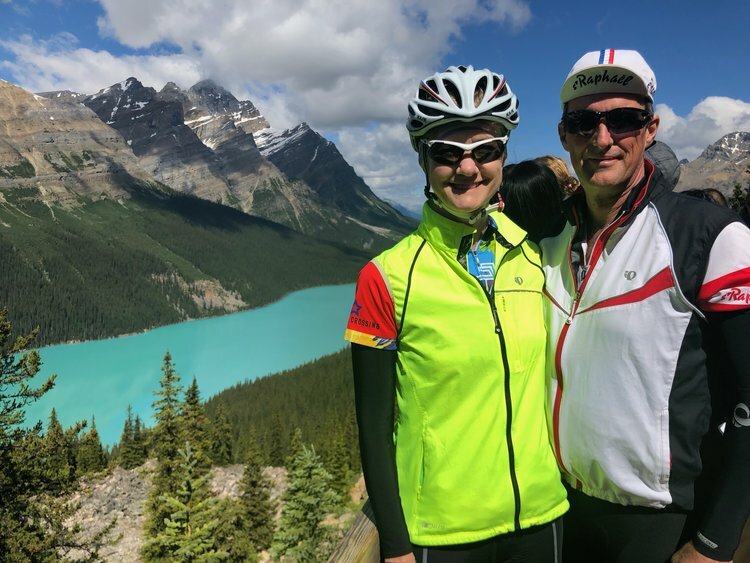 Some of the tours we have supported include Icefield Parkway Banff- Jasper Rides, Bow Summit (Peyto Lake) to Banff rides and more. We have also worked with large groups and corporate events. At the top of Bow Summit, looking out at Peyto Lake. A mostly downhill, 100km ride takes you back to Banff. A group riding the Icefield Parkway from Jasper to Banff. The one-way tour is usually completed over three days. The Icefield Parkway is one of the most accessible and beautiful mountain roads in the world.